BMI, or body mass index, is a measure of body fat based on your weight in relation to your height. This is a measurement used to determine if your weight is healthy. If you want to lose some weight, you would need to lower down your BMI through diet and exercise. Some people though want to expedite their weight loss journey and want to lower their BMI as quickly as possible. This is not only unsafe for your health but it does not produce a good long-term effect as well. For more effective ways of losing some weight and keeping them off, opt for slower yet effective weight loss progress listed here. 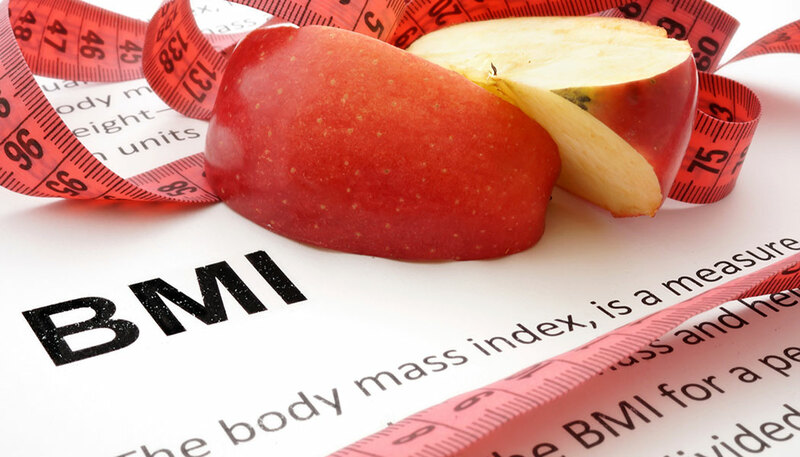 When your BMI is above the normal range, it is important that you find ways to reduce it as having a high BMI increases your risk for a variety of health reasons. Follow these tips to reduce your BMI safely. A poor diet can cause a high BMI. Change your diet if you want to lower down your BMI. Eat a lot of healthy fruits and vegetables. You should eat at least 5 portions of vegetables and fruits every day to achieve an optimum health and well-being. You should also include carbohydrates in your diet as they are the source of your energy; however, avoid processed and starchy carbs as they are responsible for weight gain. Eat brown rice, whole wheat bread and other whole grains instead. Consume milk and low-fat dairy products in moderation. Cut back on sugar as they are the major contributor to higher BMI. Don’t consume more than 12 teaspoons of sugar in a day. Avoid sweetened beverages and always check the food labels that are high in added sugar. Opt for foods that are either low in sugar or has no sugar content at all. Empty carbohydrates are as evil as sugar when it comes to gaining weight. Avoid processed foods as they are not only high on empty carbs but they also contain unhealthy level of sugar and salt. Eating more food than your body needs can lead to weight gain. To remedy this, cut back on your calories. Eat a healthy breakfast. Having a healthy breakfast will kick start your metabolism and will give you the energy that you need for the entire day. Plus, it will also stop food cravings that lead to unnecessary eating. Drink plenty of water if you want to know how to reduce your BMI. Dehydration can lead to over-eating, headaches and fatigue. Don’t eat after 8 pm as your metabolism slows down during the afternoon to night time. Living an active and healthy lifestyle is another effective and safe way for answering how to reduce BMI and achieving your weight loss goal. Make sure that you allot at least 60 minutes of exercise five times a week. 30 minutes of aerobic exercise is good for your health, however, if you want to lower your BMI and loss weight, you should have at least 60 minutes exercise. Going to the gym or performing some exercise routine can sometimes take a toll on you and cause you to burn out. Choose activities that you enjoy instead, such as tennis, bicycling or aerobic dancing. If you want to speed up your metabolism and burn more calories, perform resistance training at least twice a week. Maximize the result of your work out session by performing exercises that target your major muscle groups including your glutes, legs, back, abs and arms. If you can’t squeeze some time to go to the gym, find ways to be active instead. Take the stairs instead of using the elevator and park a few miles away from your destination and walk the rest through. Avoid being immobile. Find ways to always be in motion. If you’re sitting in your office desk the whole day, have a little break of at least 1 minute to move your arms and legs and take a quick walk. Moving throughout the day is an effective way on how to reduce your BMI. Do more physically demanding household chores. Take up new hobbies that require movement such as bicycling or gardening. Push yourself a little bit more by increasing the time and the intensity of your workout. Seek professional guidance if you’re changing from sedentary to active lifestyle and finding you can’t do it by yourself successfully. With the help of personal trainers, you’re secure that you won’t strain yourself with the sudden change of lifestyle. Aside from healthy diet and regular exercise, these tips can answer your question about how to reduce BMI as well. Get at least 6 but not more than 8 hours of sleep every night. Manage your stress as this can lead to overeating and slower metabolism. If you have a BMI that is above 30, your doctor may prescribe you some weight loss medication. Talk to your doctor about this weight loss option. Do yoga and some meditation techniques. Some people tend to overeat if they are stressed, depressed or scared. Seek counseling to address emotional or behavioral issues that lead to overeating and other eating problems. Find a support group which helps you to connect with other people who may be struggling with similar weight-related issues. Expose yourself to natural light. Taking a walk in the morning or keeping your windows open to let the sunshine in is effective on how to reduce your BMI. Drink a glass of water after you wake up. It is effective in increasing your metabolism and control food cravings. Spend some time in a sauna. The hot temperature will burn some of your fats. Laugh every day and have a positive perspective. Being generally happy can encourage you have a healthy lifestyle and avoid over-eating. We live in a society that values our weight and body type so much. If you let society dictate you, you have a risk of going overboard and find extreme ways of losing weight. While having a high BMI is not healthy, having a low BMI is not good for your health either. Being underweight can lead to nutrient deficiencies. People who are underweight are more likely to develop infections and get sick compared to people of a healthy weight. The risk of developing respiratory problems such as lung disease is higher with people that have low BMI. It is important that you consult with your health professional to ensure that you’re losing a safe amount of your BMI after knowing how to reduce BMI effectively. Does Mymi Wonder Patch Really Work? Is Fitbit Charge HR Waterproof?